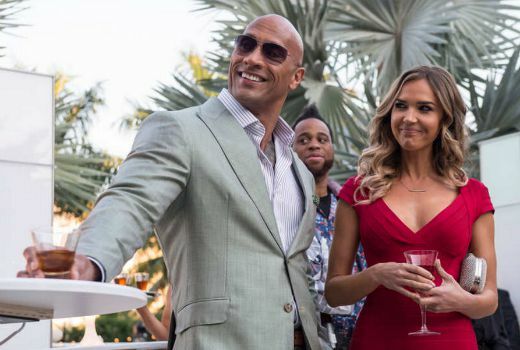 New HBO football comedy Ballers, starring Dwayne ‘The Rock’ Johnson, begins on Showcase next month. Created by Steve Levinson (Entourage, Boardwalk Empire) and co-executive produced with Mark Wahlberg (Entourage), this 10 part series explores the whirlwind lifestyle and real-life problems of a group of past and present football players in and around Miami, Florida. Ballers features cameos from pro-athletes and sports journalists. This premiered in the US in July and has been renewed for a second season. Leading the pack is Spencer (Dwayne ‘The Rock’ Johnson), a retired football superstar who is trying to find a foothold as a financial manager to current and former players. Spencer’s inner circle includes a talented but volatile wide receiver Ricky (John David Washington), who seeks to balance his off-field antics with his passion for the game; Charles (Omar Miller), a reluctantly retired lineman who’s finding it hard to adjust to civilian life; and rookie sensation Vernon (Donovan Carter), whose promise never to forget where he came from brings scores of hangers-on into his life, and lands him in big financial trouble. As Spencer tries to juggle his friends, he gets assistance from Jason (Troy Garity), a top-tier sports agent, and Joe (Rob Corddry), Spencer’s larger-than-life boss, who’ll do just about anything to close a deal. In an industry where the career span is unbelievably short, Spencer and his crew must figure out where the game ends and life begins, all while keeping their cool and having each other’s backs. Dwayne ‘The Rock’ Johnson, also one of the show’s executive producers, played college football for the University of Miami and, later, pro football for the Calgary Stampeders. Afterwards, he achieved widespread fame in the WWE/F pro-wrestling ranks as ‘The Rock’, leaving his wrestling career to achieve Hollywood success and starring in films including The Scorpion King and Pain and Gain. Tuesdays from September 15 at 7.30pm on Showcase.